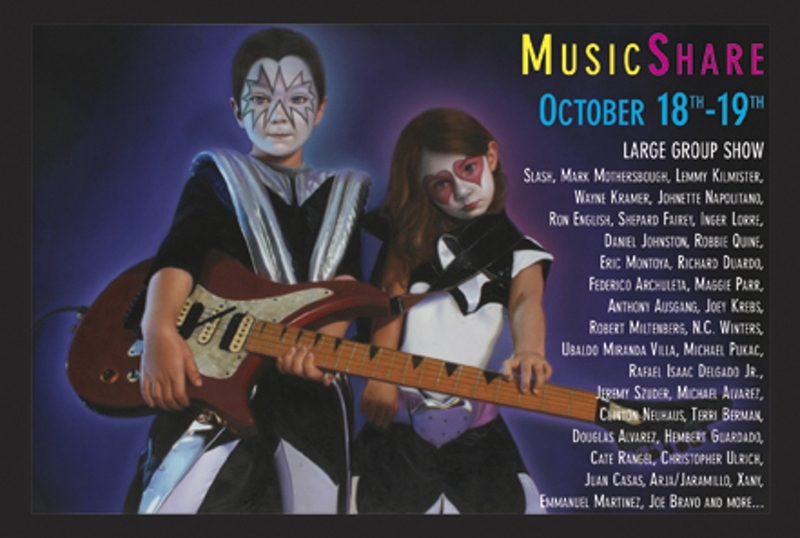 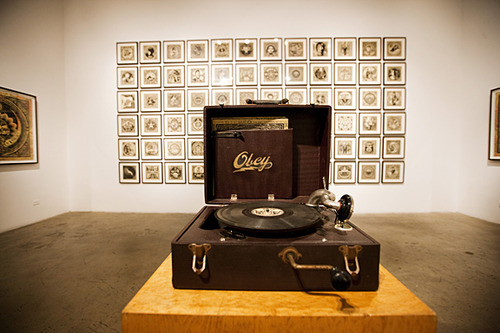 © Courtesy of the artist & Deitch Projects - Wooster St. 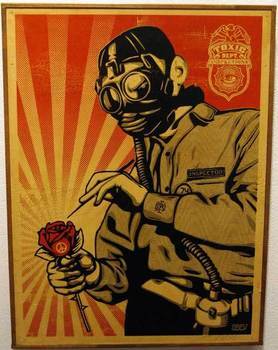 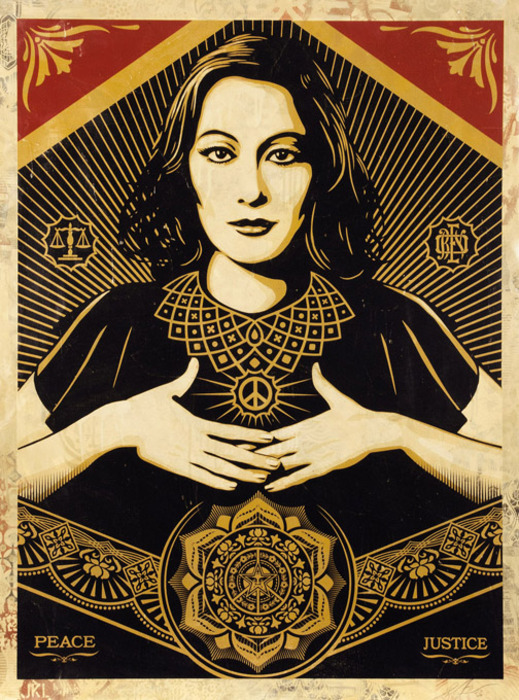 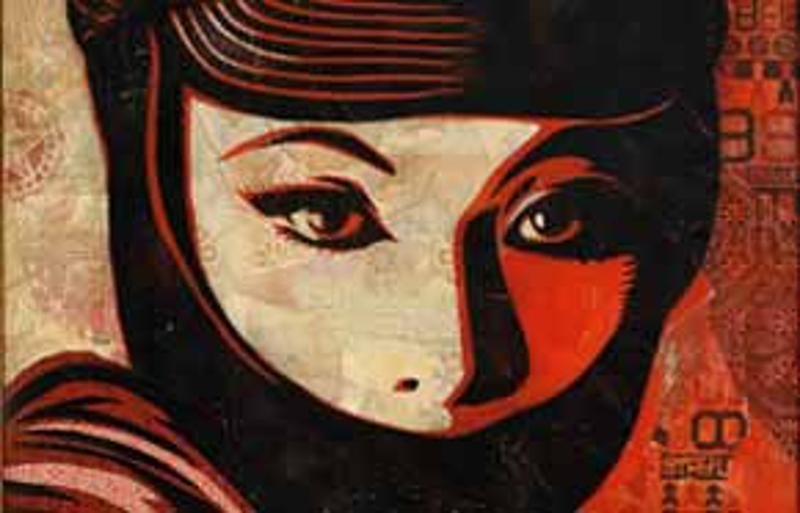 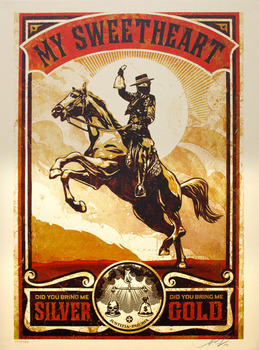 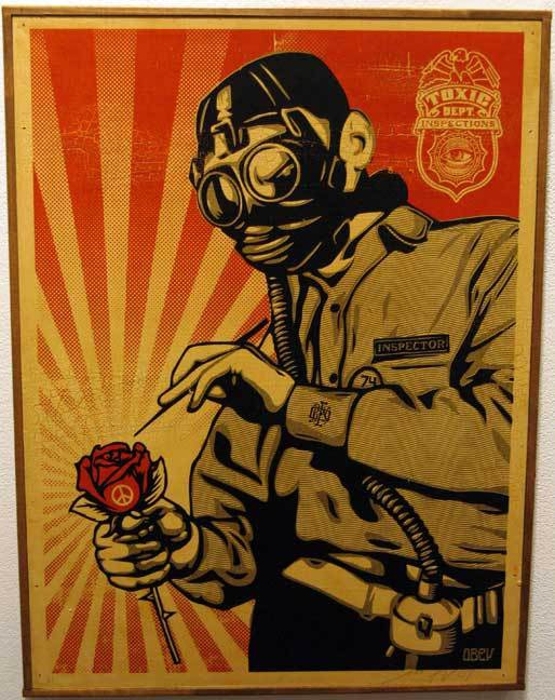 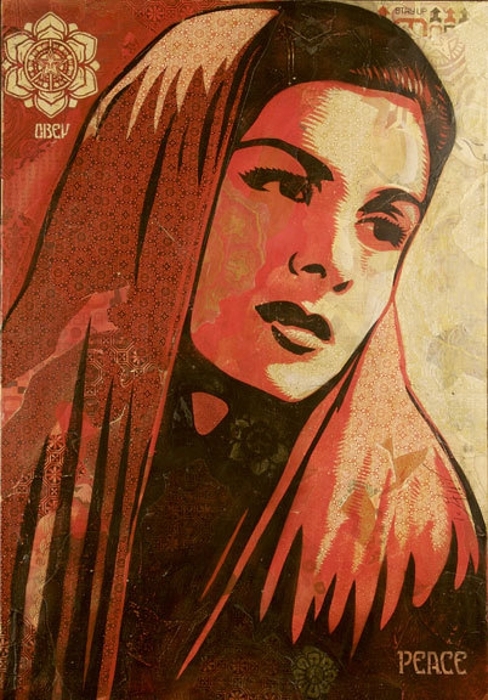 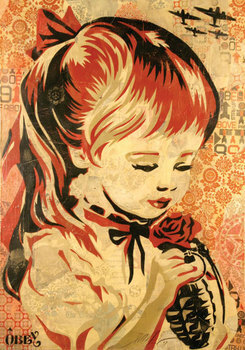 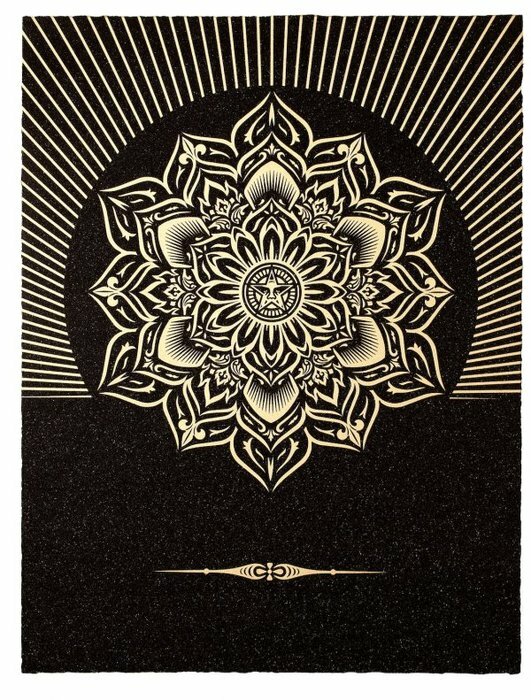 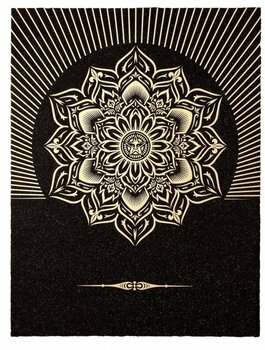 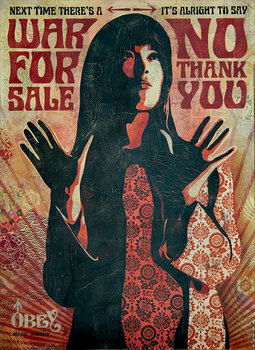 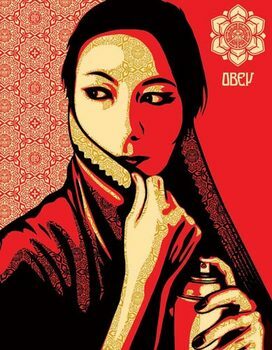 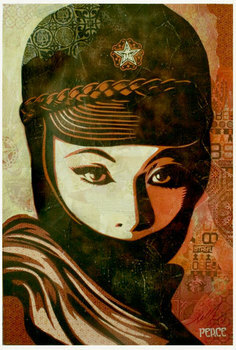 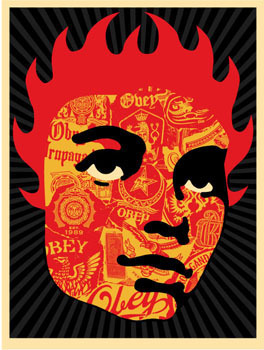 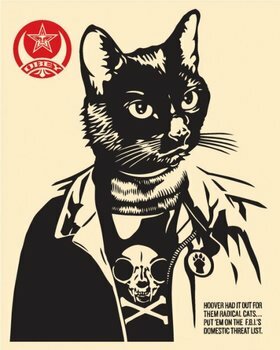 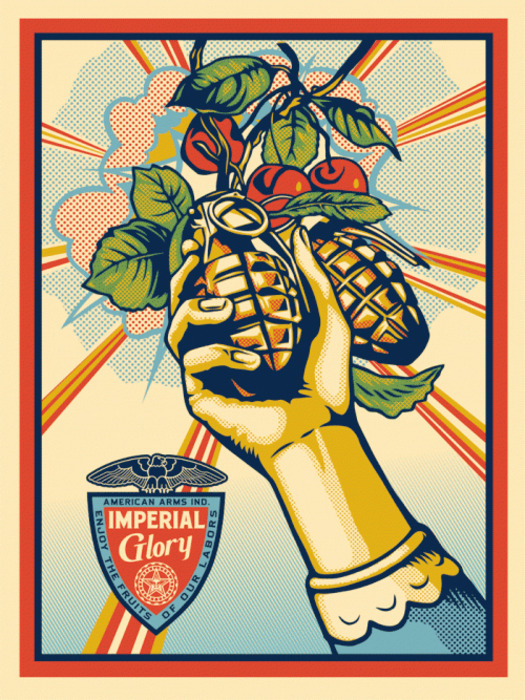 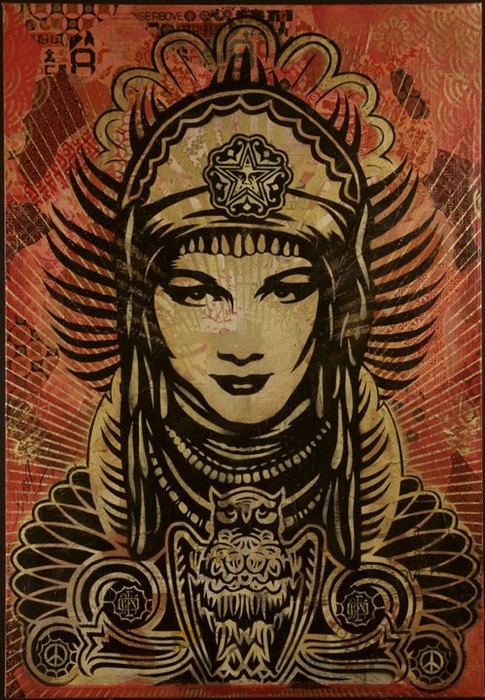 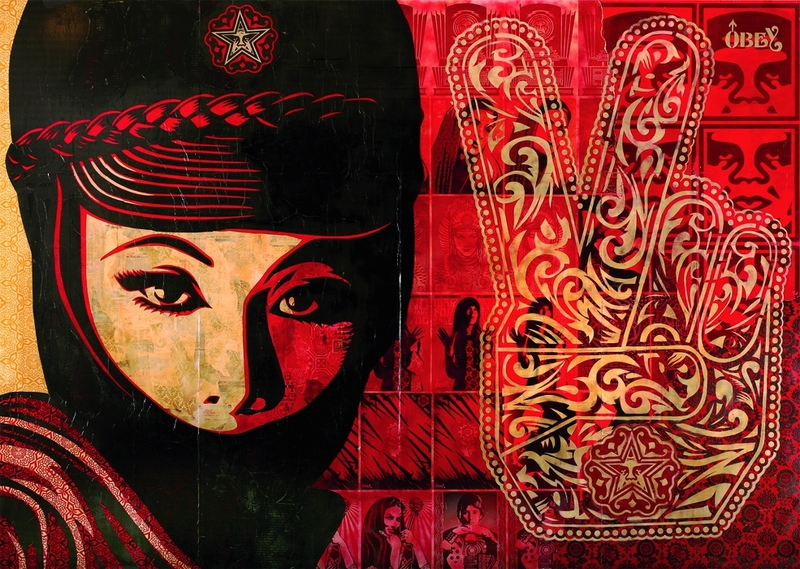 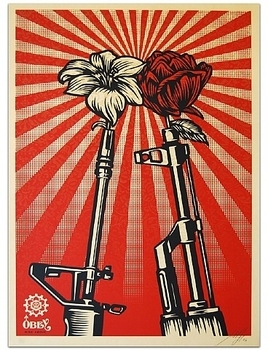 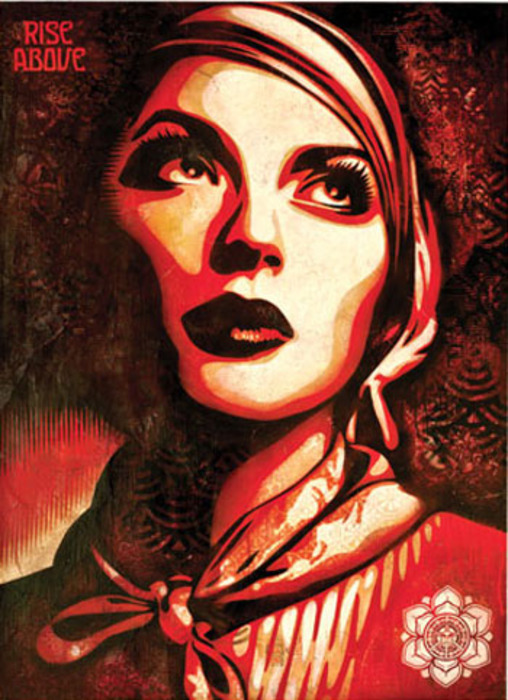 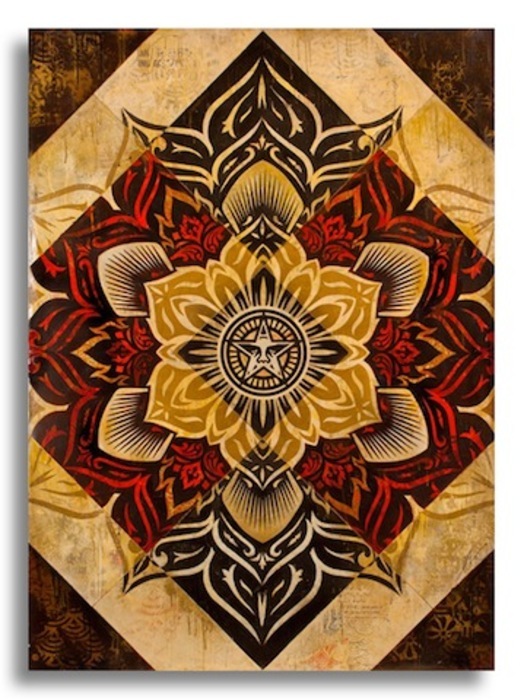 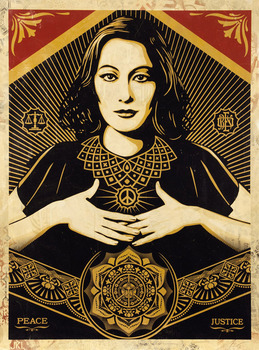 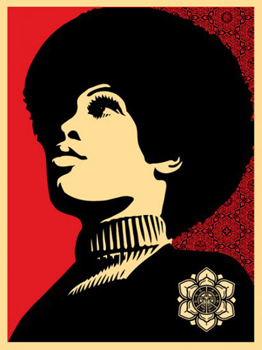 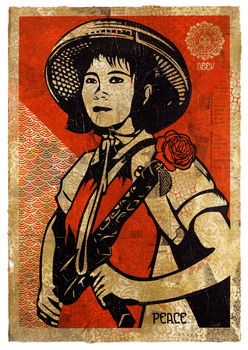 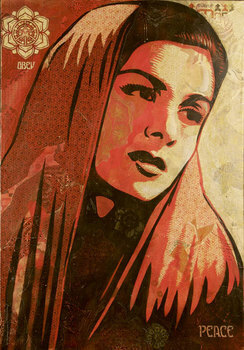 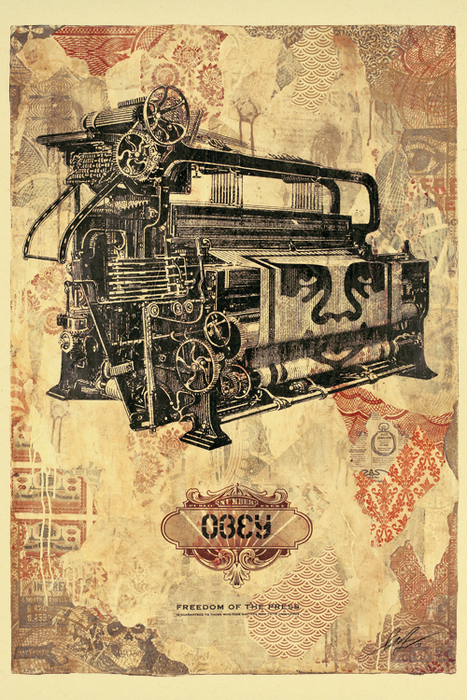 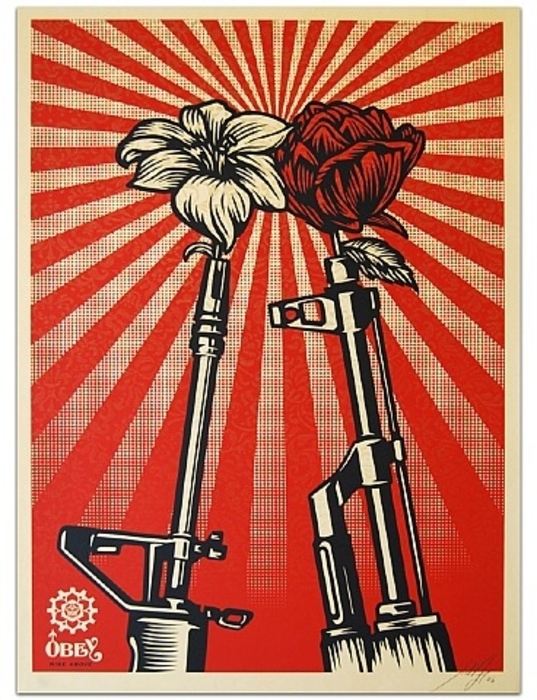 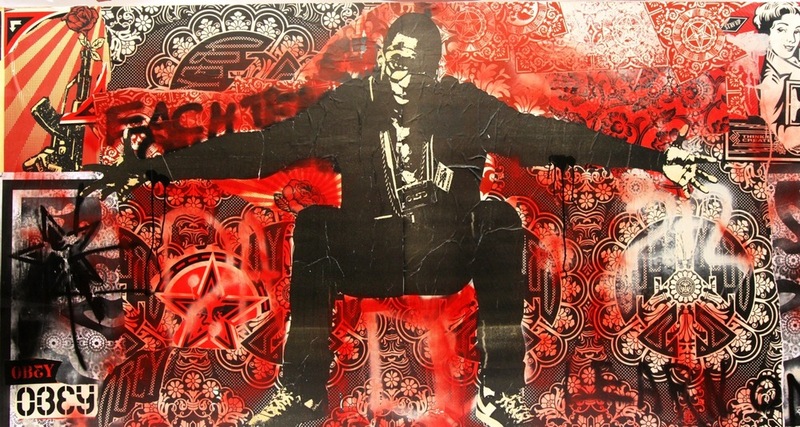 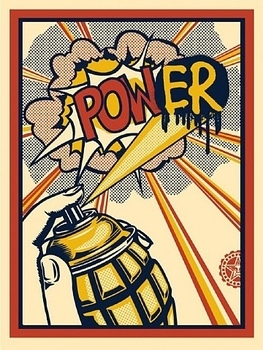 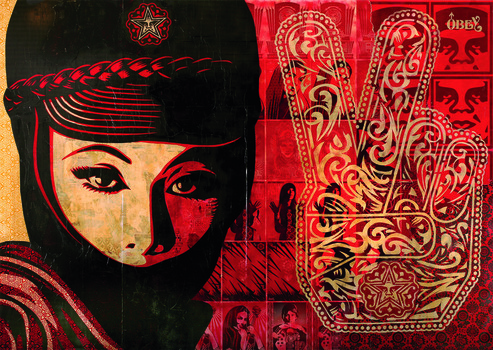 Radical Cat, 2014 Screen Print 10" X 8"
Shepard Fairey has become one of the most well-known artists of the early 2000s. 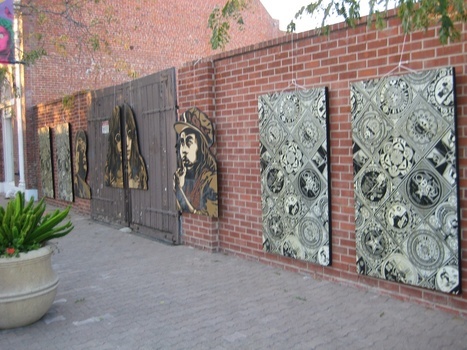 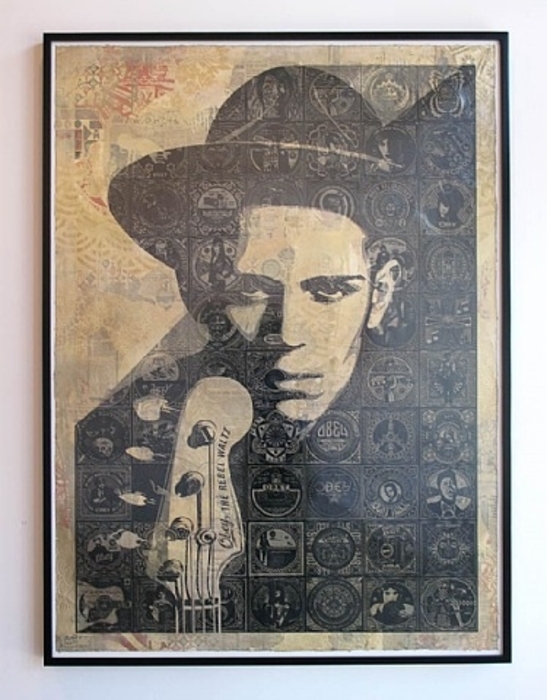 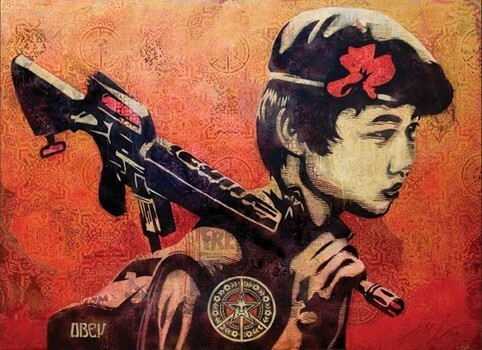 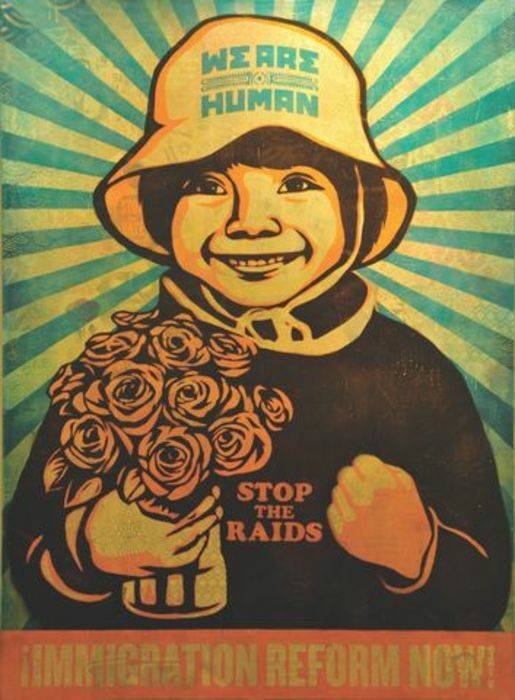 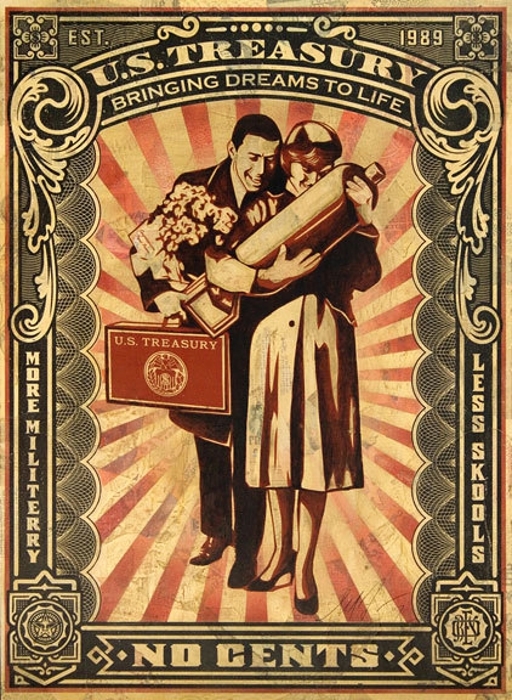 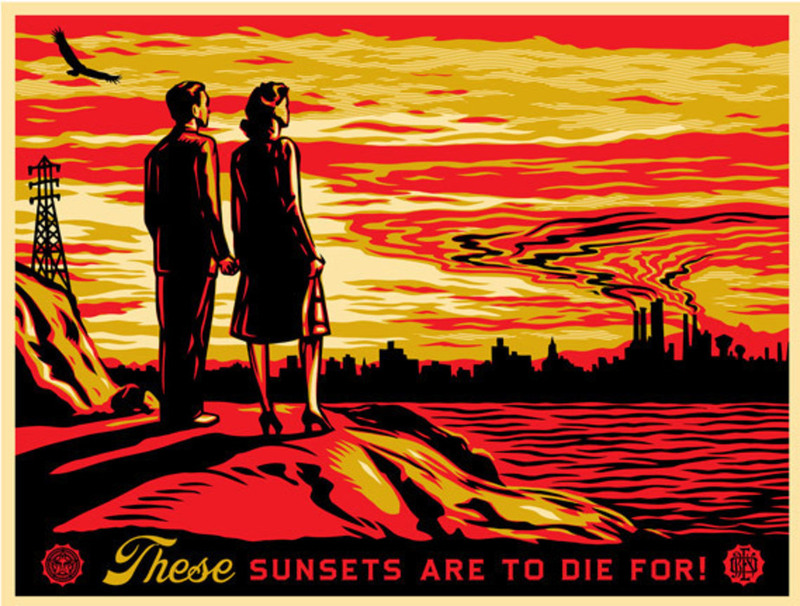 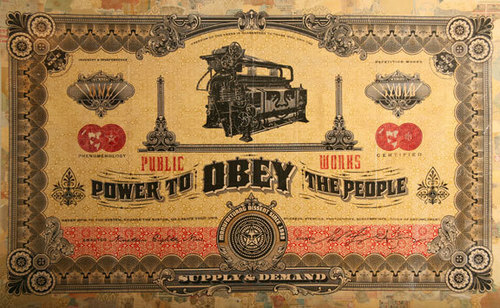 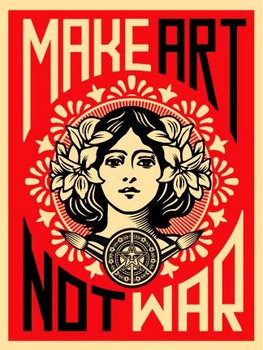 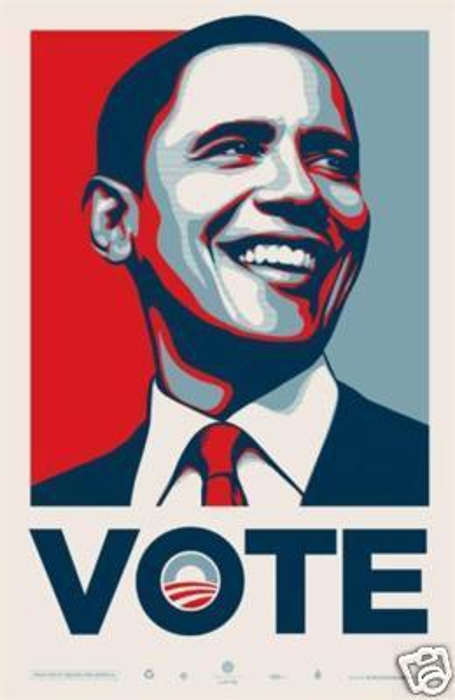 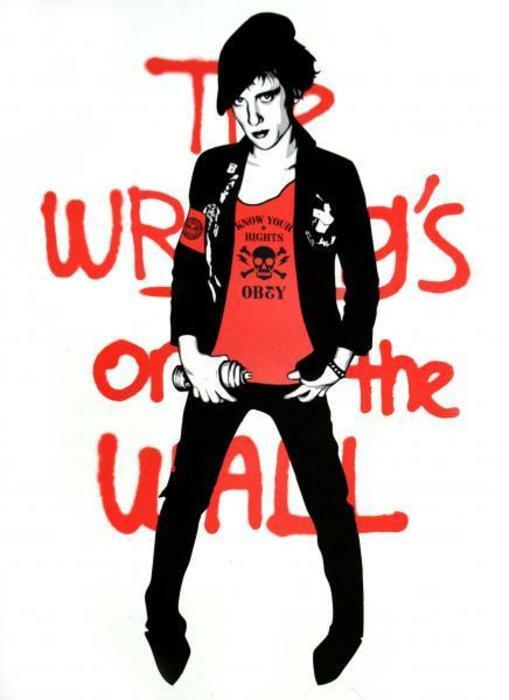 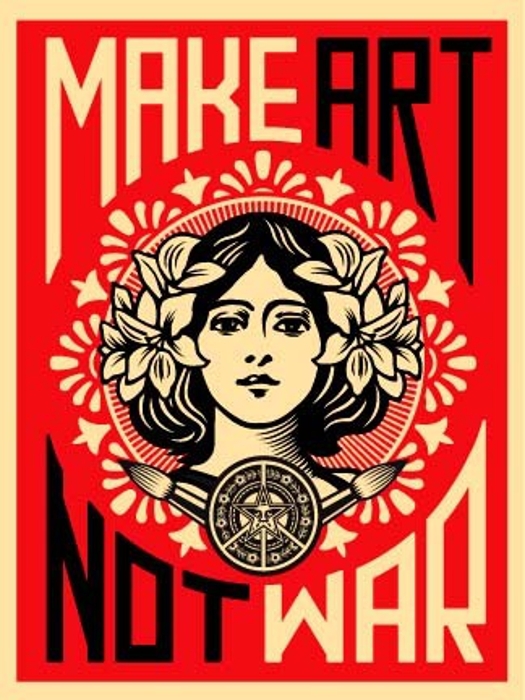 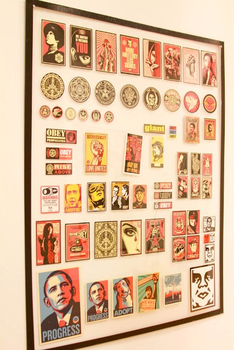 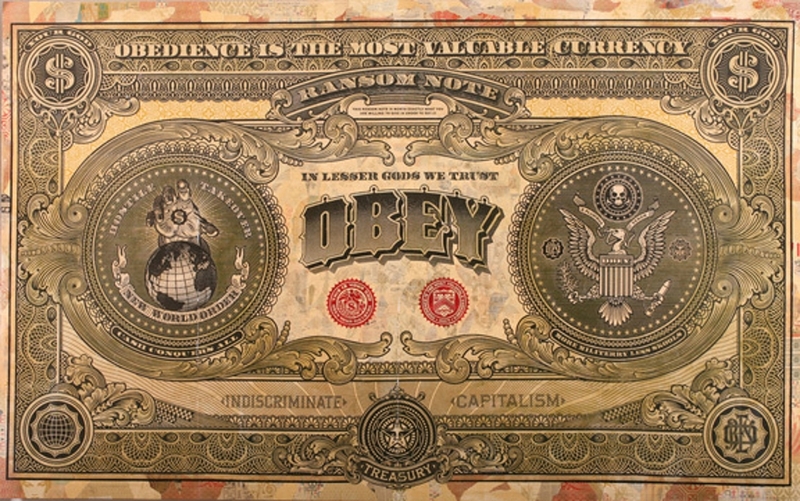 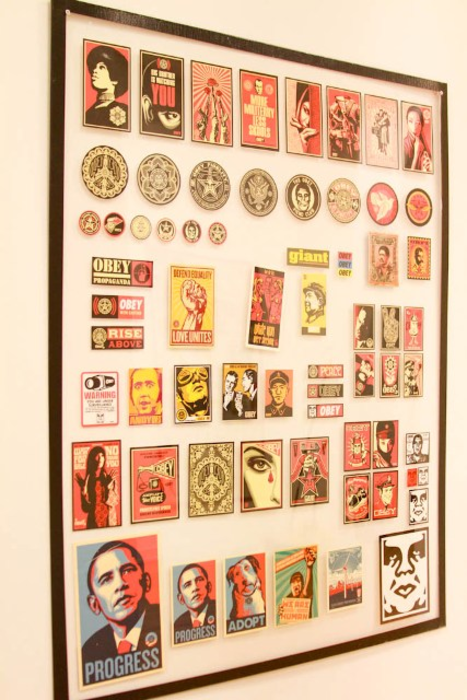 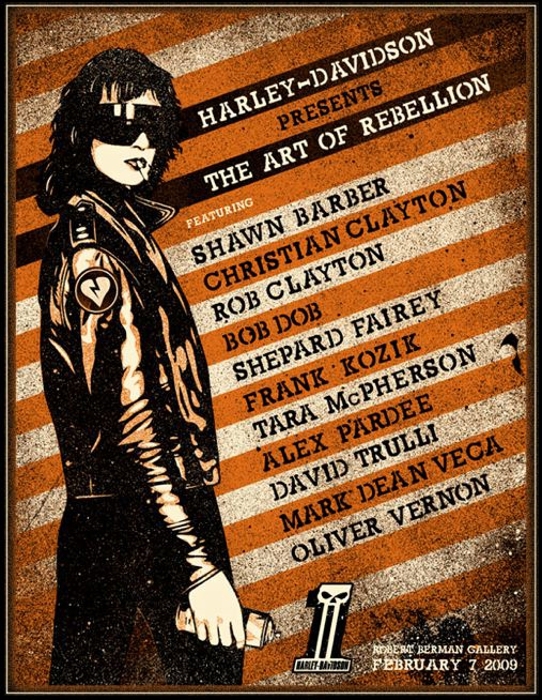 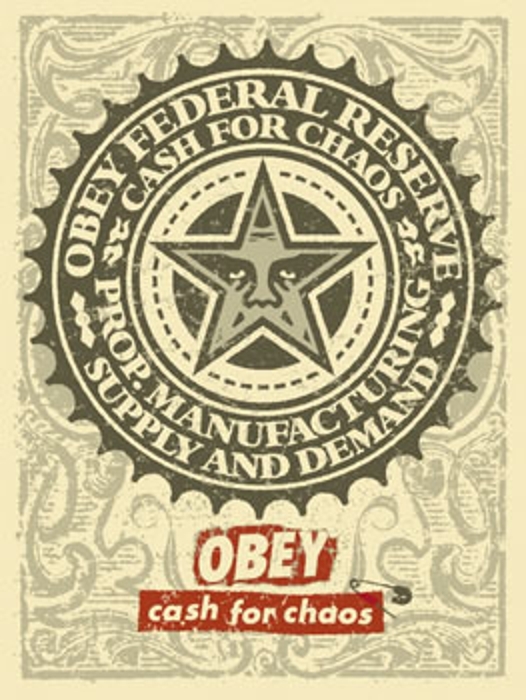 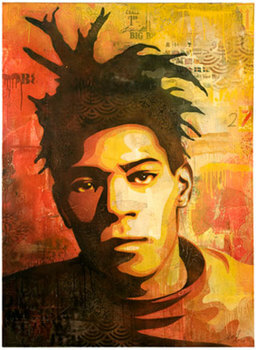 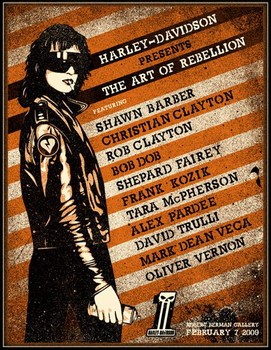 He is most noted for being the artist who, while attending the Rhode Island School of Design (RISD) in 1989, created the "André the Giant Has a Posse" sticker campaign, which has evolved into the "Obey Giant" campaign, that can now be seen all over the world. 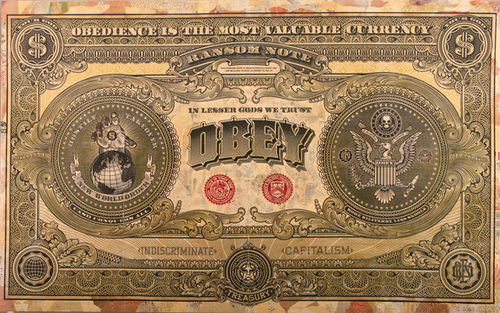 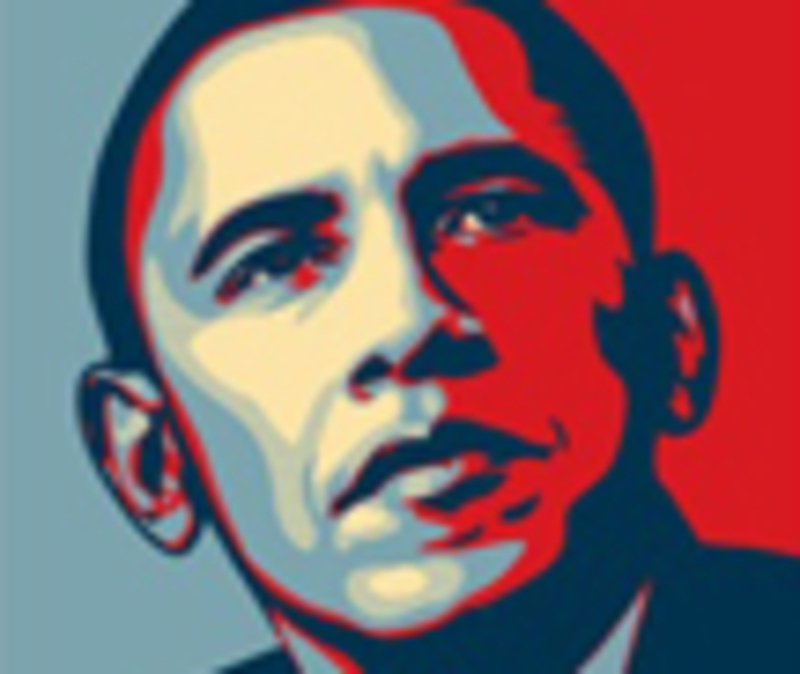 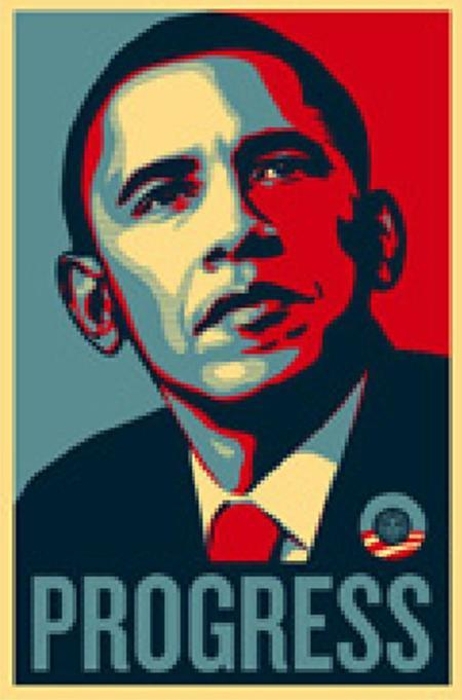 The campaign has become, in Fairey's words, an "experiment in Phenomenology." 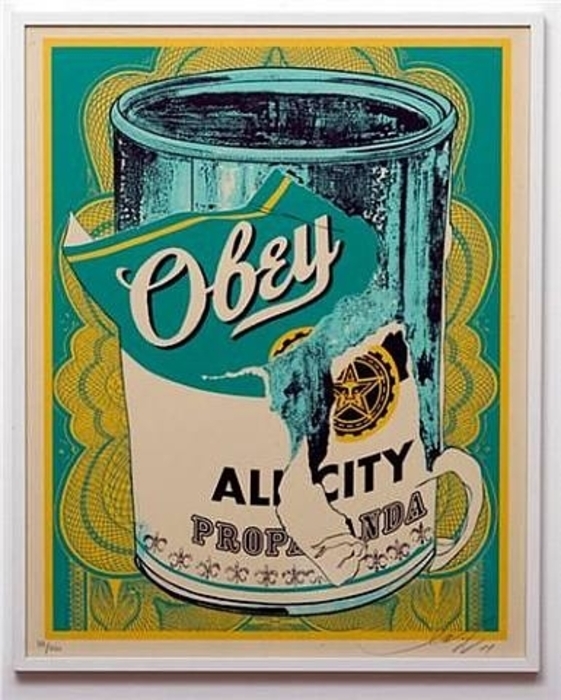 According to Fairey, “The first aim of Phenomenology is to reawaken a sense of wonder about one's environment. 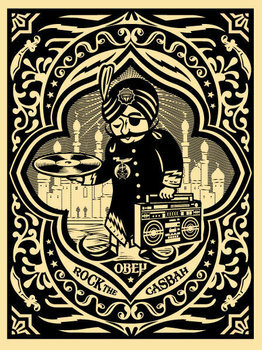 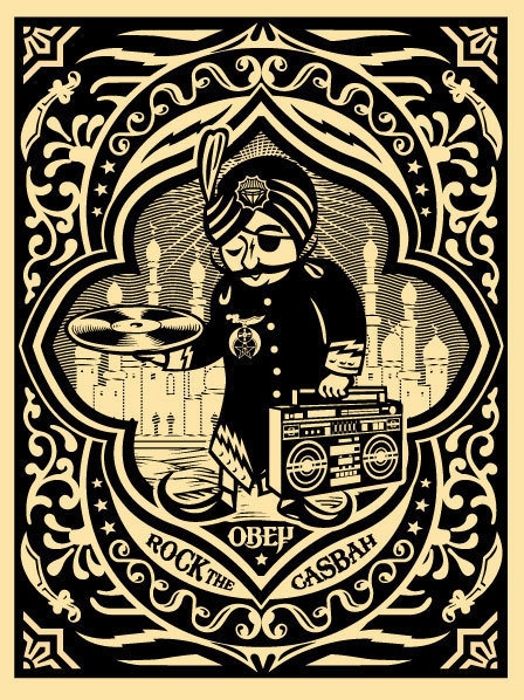 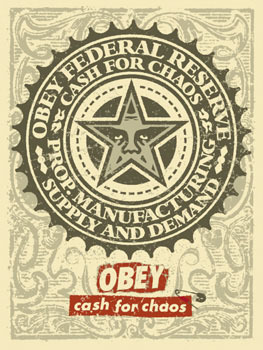 The Obey campaign attempts to stimulate curiosity and bring people to question both the campaign and their relationship with their surroundings. 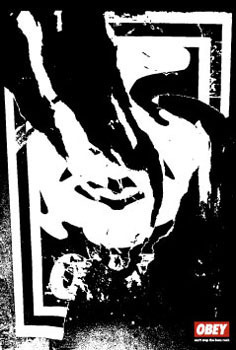 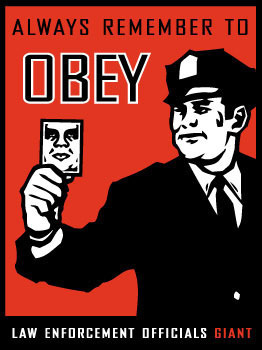 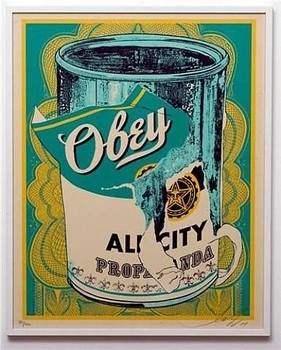 Because people are not used to seeing advertisements or propaganda for which the motive is not obvious, frequent and novel encounters with Obey propaganda provoke thought and possible frustration, nevertheless revitalizing the viewer's perception and attention to detail. 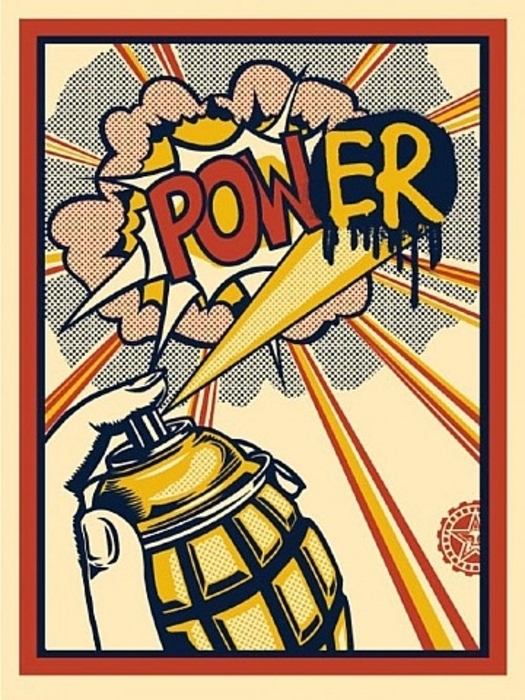 The medium is the message.”Recently Fairey has come under criticism for appropriating others' artwork into his own while failing to provide attribution for the work used. 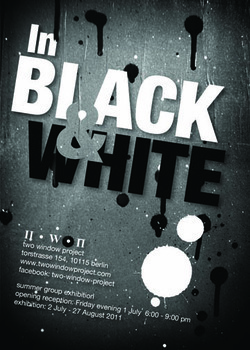 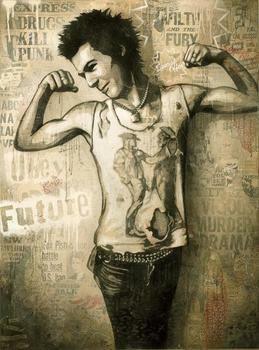 Fairey received a Bachelor of Arts from The Rhode Island School of Design in 1992. 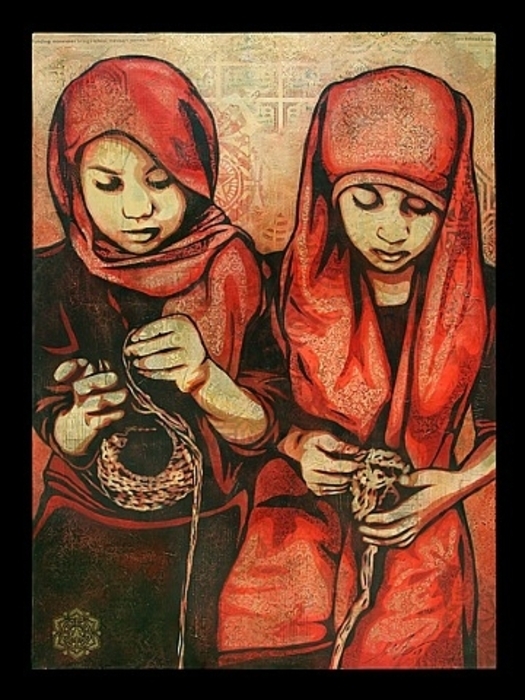 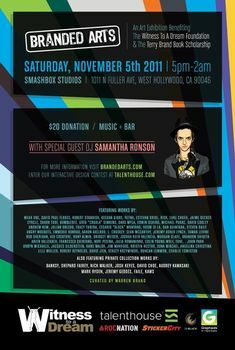 His work has been featured in The New York Times, TIME, Salon.com, The Los Angeles Times, Los Angeles Magazine, INC., Juxtapoz, Swindle, and many others. 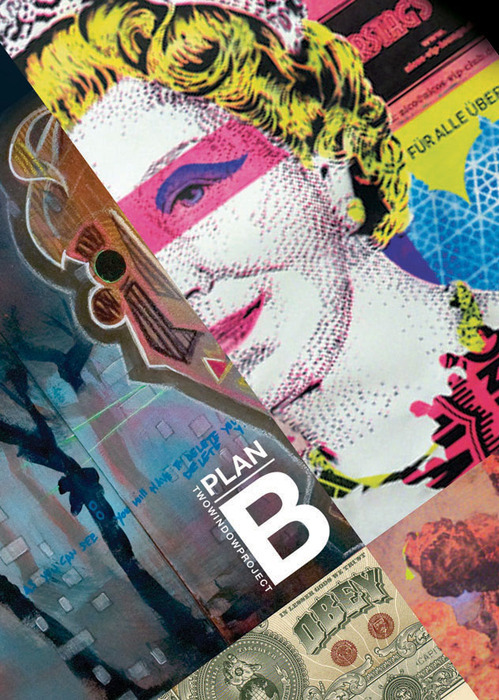 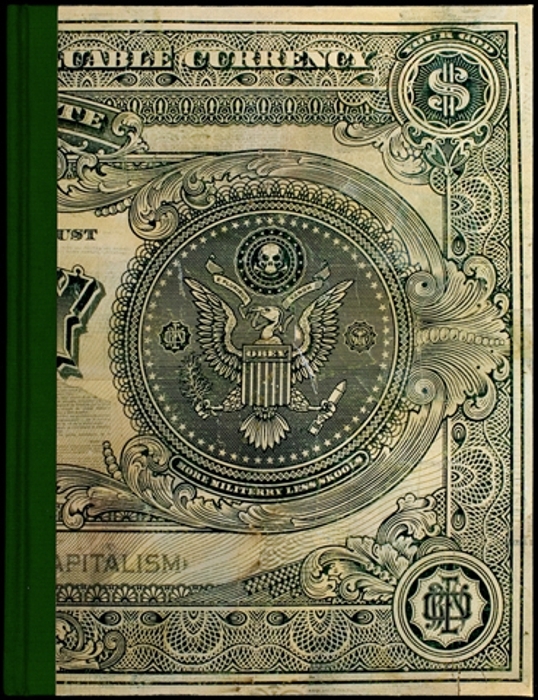 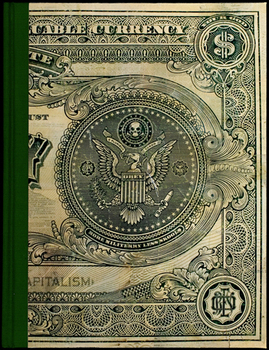 Shepard’s most recent monograph, Supply and Demand, was published by Ginko Press in 2006.